When you think about Northern California, you probably think of our rich agriculture, our innovative entrepreneurs, our legendary diversity – and our mouth-watering food. The SF Market has powered the Bay Area food economy for over a century, and we have only just begun. From our humble origins as a group of independent produce merchants in downtown San Francisco to our current location and ambitious reinvestment plan, we have always stood for one thing: Growth. The SF Market is a nonprofit wholesale marketplace connecting growers and their produce to food businesses throughout the region. Together with over 30 merchants – in one perfect San Francisco location – we provide the food infrastructure and programs that feed the Bay Area and the $113B regional food economy. Hundreds of food-centered companies shop our streets between midnight and 9:00 am, loading their trucks with the area’s finest fresh produce destined for the shelves of your local market. Each morning, our merchants deliver packed-to-order produce to grocers, caterers and restaurateurs from Monterey to Arcata to the Nevada border. We recover hundreds of thousands of pounds of healthy produce each year, which our community partners turn into meals for people in need all over San Francisco. Our 60-year lease from the City of San Francisco gives us a long-term home so that we can embark on a significant reinvestment plan to modernize and expand facilities, systems and nonprofit programming, ensuring that The SF Market can continue to fulfill its mission both now and in the future. We hope this report helps you learn about The SF Market and our role as the hub of the Bay Area’s all-important food infrastructure. We welcome you to join us as a merchant, a customer, a volunteer or a community service partner. We look forward to growing with you. To meet the growing demands of the region’s food economy, The SF Market Board approved a plan to fund a $100-million reinvestment plan. These funds will modernize and expand facilities, systems and programming, following our 2015 investment to build the region’s first LEED Gold Certified building dedicated to food. Over 850 people work at The SF Market in positions requiring a variety of skills and education levels. A number of them live in San Francisco and we are proud to contribute to the economic development of the Bayview Hunter’s Point community by helping to support families and the neighborhood. The SF Market will continue to play a powerful role in the growing Bay Area food economy with a fresh and innovative new brand built to raise our visibility with customers, growers and the community. Designed by Trinity Brand Group, our new brand reflects the creativity, vibrancy and solid relationships that our merchants personify. The SF Market is dedicated to increasing access to healthy food through our food recovery program and by supporting healthy retail efforts. We received our first grant from the San Francisco Department of Environment Zero Waste Grant Program of $100,000 to help donate over 600,000 pounds of healthy produce annually to community partners. 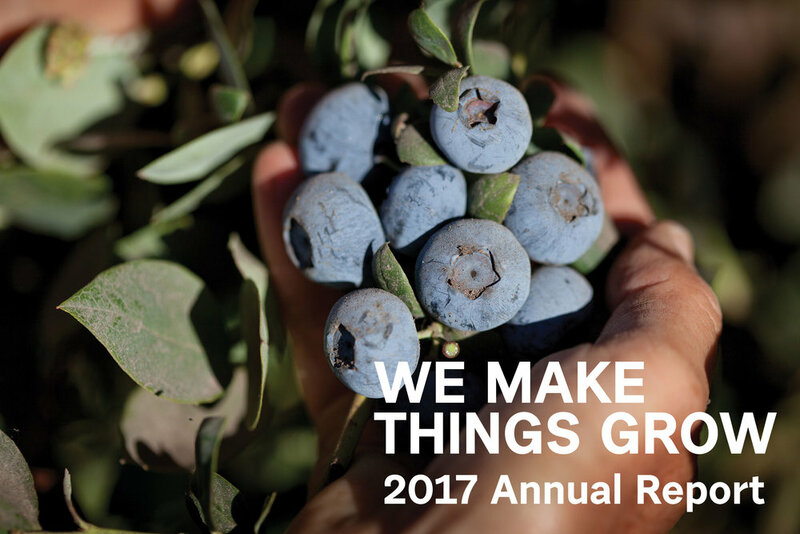 We drive the business of healthy food and the infrastructure that powers thousands of Northern California food enterprises. • We have more direct relationships with local growers and regional food businesses than anyone else, making us the one-stop shop for many food businesses. • The SF Market is the only facility of its size and type in Northern California, providing 485,000 square feet of warehouse space built for food safety – 82,000 square feet of that state-of-the-art LEED certified – to move food around the region safely and efficiently. • Over 850 employees work on The SF Market, sustaining families and households throughout our community. • From wholesalers who sell on the market, to distributors who deliver throughout the region, to technology-powered food businesses, The SF Market embraces innovation and supports different business models. For decades past and decades to come, we are the source for the fresh, local and innovative ingredients that make San Francisco a world-class food destination. • Our 60-year lease with the City of San Francisco, honoring our century of support for the City’s food culture and our role as a strategic asset, gives us a long-term home. • With the support and partnership of the City, The SF Market Board and community leaders, we created a reinvestment plan so that we can continue to innovate along with the City and the food world. Simply put, no one knows or supports local growers like The SF Market. Growers are an extension of The SF Market and the jewels of our food system. • Whether it is conventional, organic, international or specialty, we have it – and we are helping to expand the business of the farmer who grew it. • Much of the produce sold on The SF Market is locally grown, and we get it into the hands of grocers and chefs within days of harvest. • The SF Market and our merchants have deep, long-term relationships with local growers. We proactively reach out with new business opportunities for growers and small family farms. Our customers are everything to us. Our merchants’ long-standing relationships with growers and the food community mean that we have the variety, availability and prices to help our customers grow. • The SF Market comes to life in the middle of the night when grocers and retailers are filling their trucks so that they can display the finest produce on their shelves when they open in the morning. 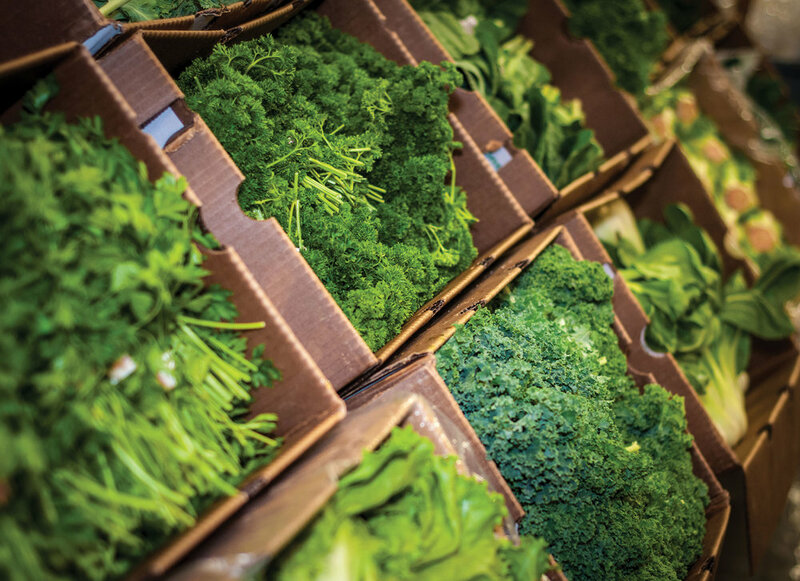 • We have the most delivery capacity of any Bay Area produce market, bringing the region’s best produce to restaurateurs, caterers and grocers, whose busy schedules depend on delivery. • From pallets to pints, our merchants measure and re-package produce to meet customer usage and space requirements. • Our specialized facilities include San Francisco’s only all-organic banana-ripening rooms, providing complete control of bananas from the fields to our customers’ shelves. We are more than a business – we are a social enterprise with a mission to do good for the environment, our community and the region’s food economy. • We are a longstanding and vital member of Bayview Hunter’s Point, San Francisco, and the larger Northern California community, providing jobs, neighborhood improvements and programs. • We are home to an 82,000 square foot state-of-the-art LEED certified building focused solely on food – the first building of its type in the Bay Area. • We have recovered over 1 million pounds of healthy food, which our 20 community partners turned into over 800,000 meals, continuing our commitment to feeding San Franciscans in need. We welcome you as a customer, merchant, community partner, volunteer or funder.